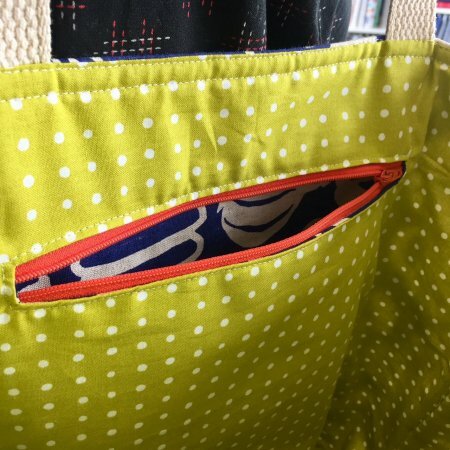 Ready to level up your sewing skills by learning how to install an interior zipper pocket in a tote bag? This tote bag makes a great gift! Kick off the holiday season with us by making a Christmas stocking. 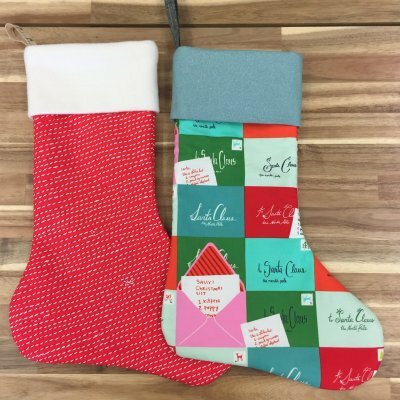 Create a one of a kind stocking for your loved ones that is sure to get Santa's approval! 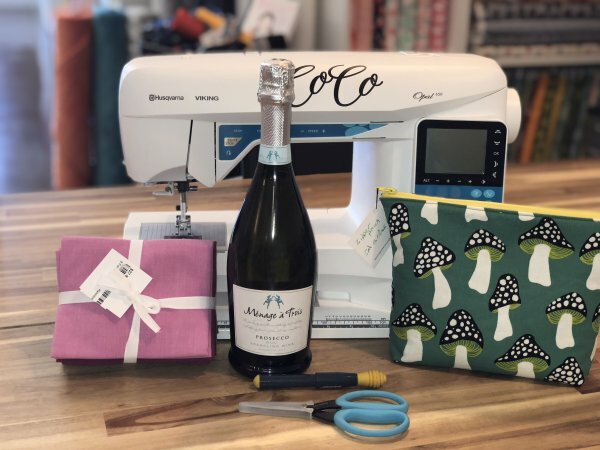 Come sip and stitch with us this Wednesday from 5-8. We will have wine and nibbles and are here to provide support with any issues you encounter or feel free to bring a problem in that we can help you solve. Cheers! 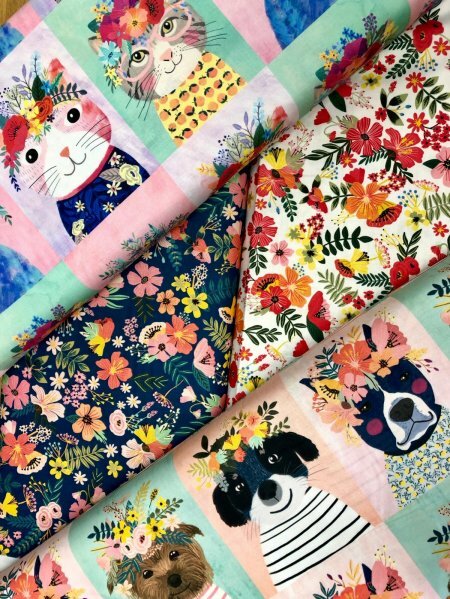 We fell in love with this new line from Blend Fabrics, Floral Pets. The pups and kitties have so much personality and the colors are spot on! Available in store and online.